Juicy summer cherries and fresh lemon, cooked down with lemon zest and sugar, are the perfect jammy marriage of sweet and sharp, as delicious on a piece of buttered toast as spooned over cold vanilla ice cream or stirred into a pot of natural yogurt. One of my pet peeves is waste. That’s not to say that I don’t throw out my share of things in the refrigerator that somehow manage to work their way to the back, get forgotten, and grow legs on occasion, but it makes me sad when that happens. Especially when it’s something I really love to eat. Here in Dubai, where temperatures rarely fall below an average low winter temperature of 57°F or 14°C, growing cherries, which require a chill time of 700-800 hours in order to flower and produce fruit, is just not an option. So all of the cherries that appear in our supermarkets are flown in at great expense from countries that enjoy near or freezing temperatures in winter. As you might guess, those costs are passed on to consumers and cherries are crazy expensive to buy here. So one of my favorite summer rituals is buying and eating my not inconsiderable weight in cherries when I am in the States on holiday. As I packed up to head back to Dubai this summer – and if you follow me on Instagram you know I mean that quite literally – I still had a big bowl of cherries on the kitchen counter. There was just no way I could leave those behind! So I got out the cherry pitter and went to work. 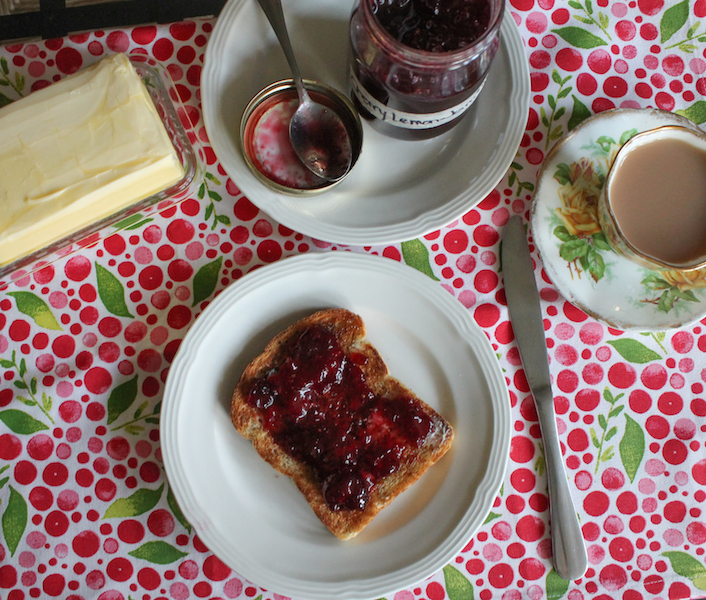 Jamming is so much more satisfying than packing suitcases! 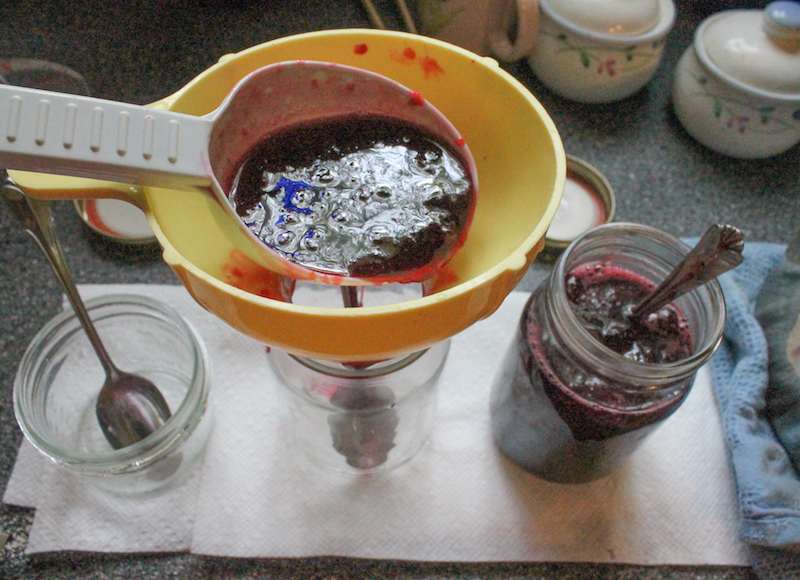 Jam making is really easy, with the right tools. 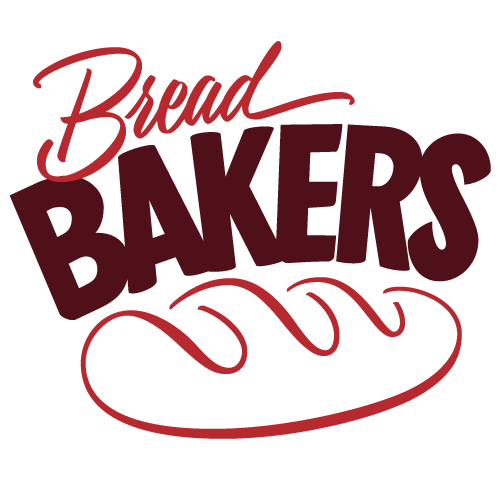 A digital scale and a thermometer are going to simplify the process. 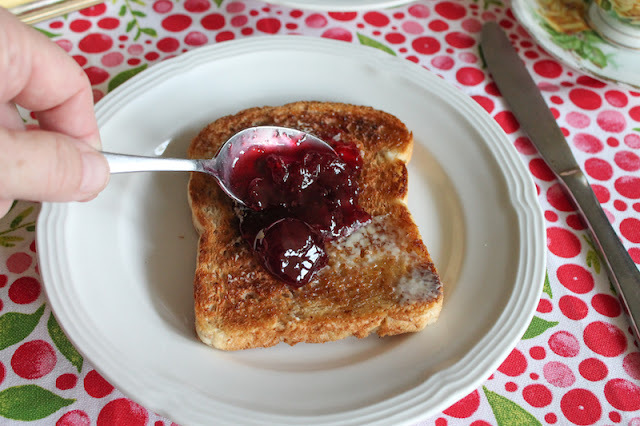 One of the secrets to easy fruit jam, that is jam that sets, is to add something acidic, like lemons which have natural pectin, and to cook the fruit with an appropriate amount of sugar until it reaches a temperature of 220°F or 105°C. And since the amount of sugar depends on the weight of your cooked fruit, I’d like to suggest you buy a digital kitchen scale. < Amazon affiliate link to the one I use, but, honestly, any scale which can toggle between metric and imperial measures will do, giving you the freedom to use recipes from all over the world. (You can measure by volume but weighing is a lot less messy.) And if you don’t have one, may I suggest you get a thermometer as well? 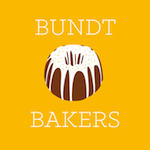 < Once again, that's an affiliate link to mine - costs about $14 and I use it ALL THE TIME. 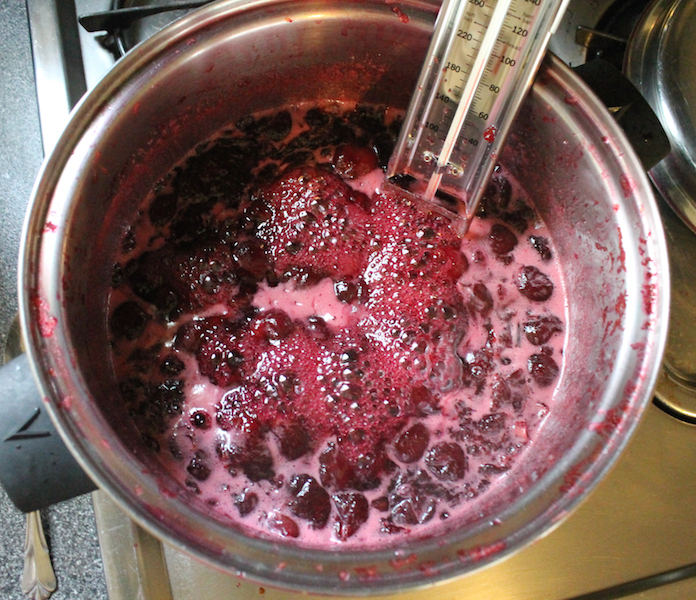 A thermometer takes the stress and worry of “will it set?” completely out of the jam making equation. Reaching the proper temperature hasn't failed me yet. 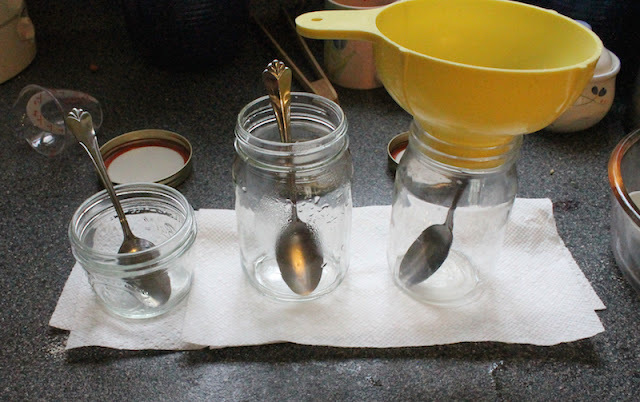 Sterilize your jars and lids and put them at the ready, metal teaspoon in each, canning funnel perched in one, before you begin. Sterilize your ladle as well. The amounts given above made two pint jars and one half pint. 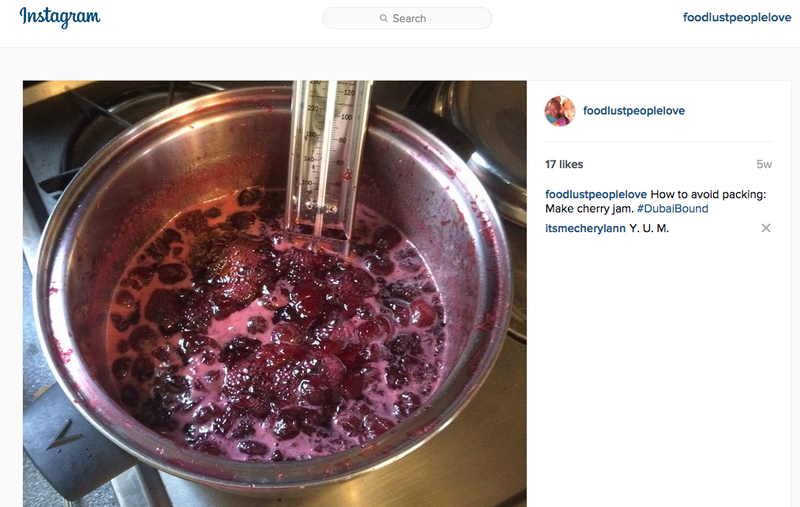 Pit your cherries and put them in a large non-reactive pot. (If you have a scale, go ahead and weigh the empty pot first and make a note of the weight for later.) Grate in the zest of your two lemons. 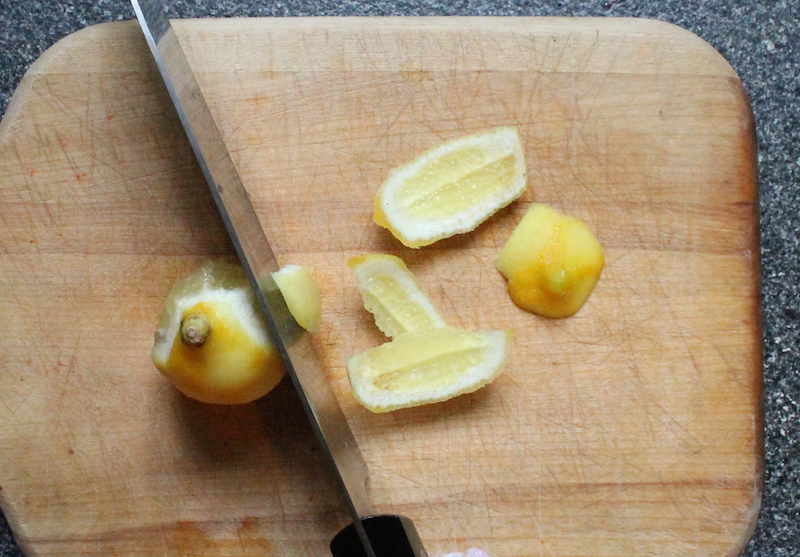 Cut the peels and pith (the white stuff) off of your lemons with a sharp knife. 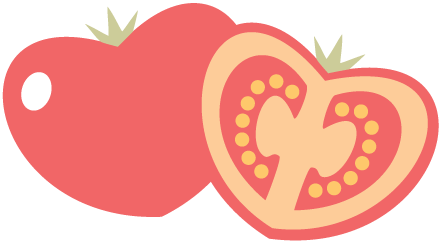 Remove all the seeds and chop the flesh into small chunks. Scrape the chopped lemons and any juice on the cutting board, into the cherry pot. Add the extra two tablespoons of lemon juice into the pot. 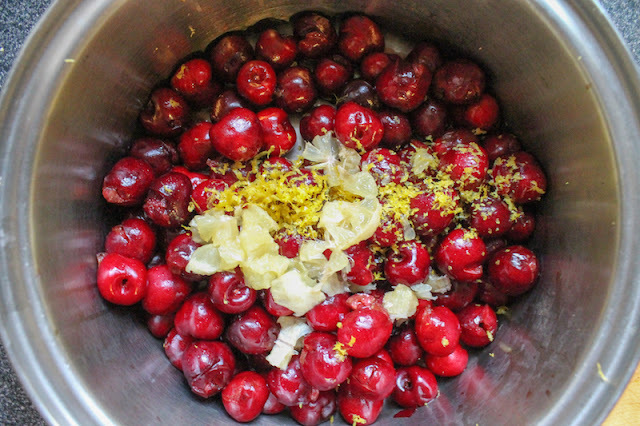 Cook the pitted cherries and lemons, covered, over a medium flame for about 15 or 20 minutes, until they have released some juice and the cherries have softened. 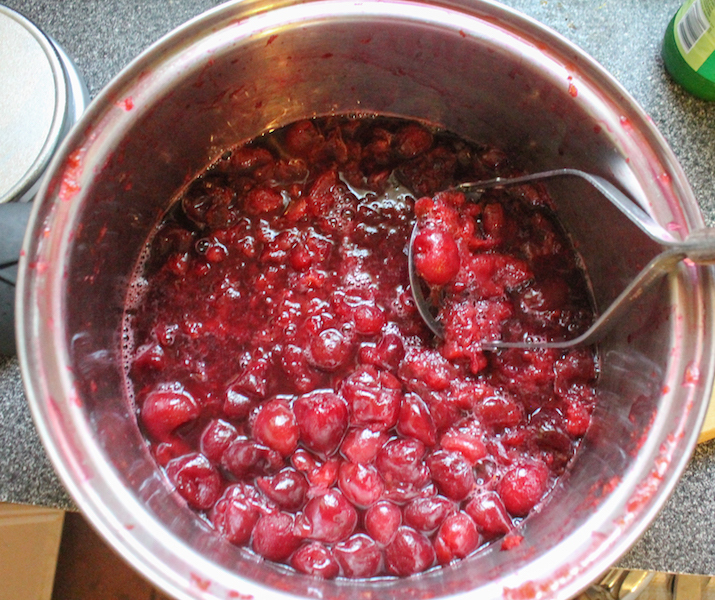 Use a potato masher to mash them lightly, leaving some cherries whole. Measure your cooked fruit, juices and all, by volume or weight and then do a little math. Add 3/4 that amount of sugar, along with the salt. With cooked cherries and lemon, it weighs 2278g. 2278-1300 = 978g. Cook the fruit, sugar and salt over a medium to high heat, uncovered, till the mixture starts to thicken. Stir frequently and set your thermometer in the pot. Cook quickly until the temperature reaches setting point for jam: 220°F or 105°C. 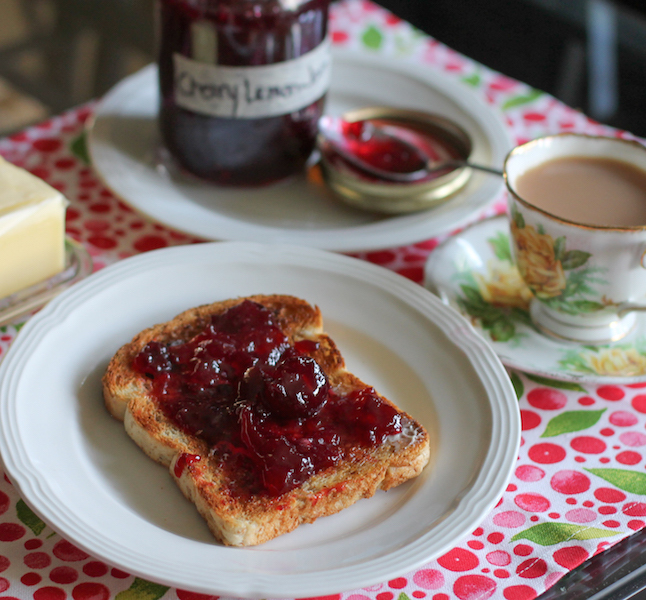 Quickly ladle the hot, sweet jam into your prepared jars and screw the lids on as tightly as you can manage. Turn the jars upside down and leave to cool. The scalding cooked fruit further sterilizes the jars and as the jam cools, a suction forms and the lids are firmly sealed. 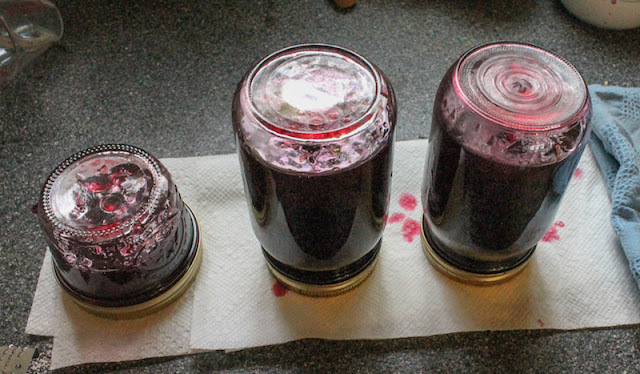 The little circles on the lids should pop in and keep the jam safe for consumption for many months. If any of the seals don’t create a sufficient vacuum and the circles don’t pop in, store those jars in the refrigerator. 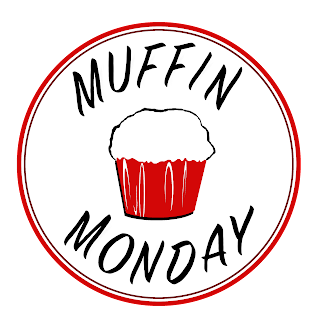 This week I am delighted to be hosting Sunday Supper with my friend and fellow blogger, Heather from Hezzi-D’s Books and Cooks. It’s our goal to encourage everyone to Save Summer Harvest with a number of methods, and in keeping with the mission of Sunday Supper, to enjoy the bounty of summer around your family table for months to come.